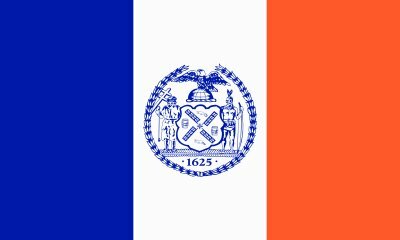 New York City flags are manufactured in three sizes using polyester/nylon materials The basic flag is nylon with printed dye-sub city logo. They are available in 2' x 3', 3' x 5', and 4' x 6'. Larger sizes are available by quotation. Notes: NYC flag made with heading and grommets.